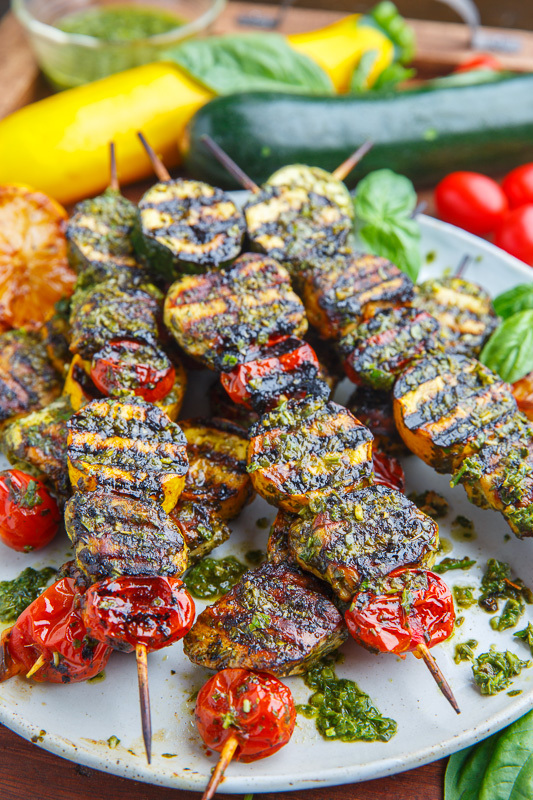 Fresh and tasty grilled basil pesto marinated chicken, zucchini and tomato skewers! Are you ready for another grilled recipe? 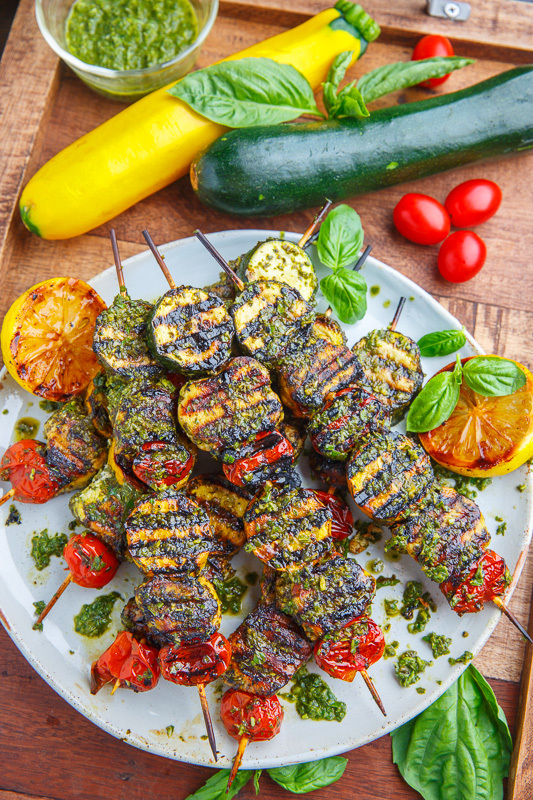 How tasty do these pesto grilled chicken, zucchini and tomato skewers sound? This grilled chicken is so easy to make! 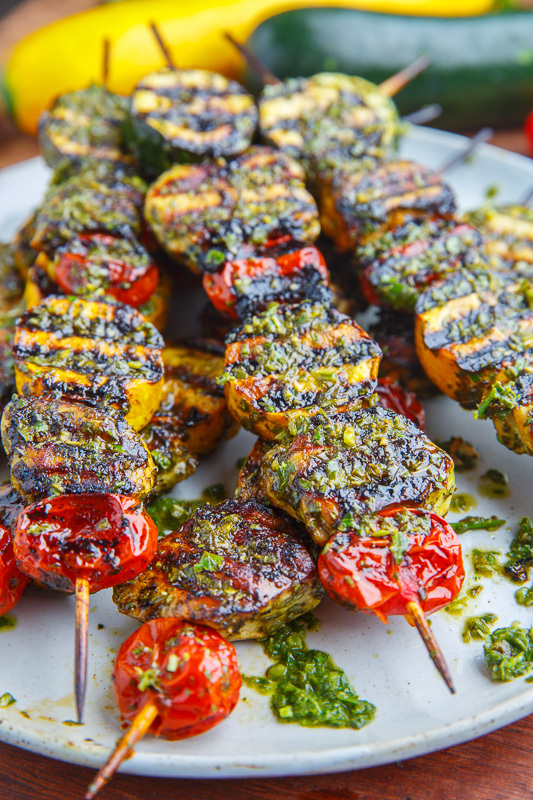 You just marinate the chicken in some basil pesto, skewer it up, along with some tomatoes and zucchini, and grill it! The pesto adds so much flavour to the chicken and it just screams summer! 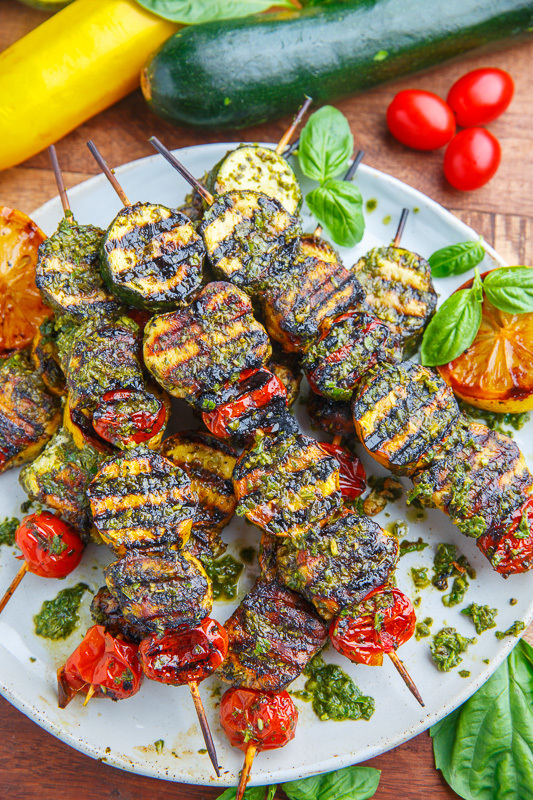 You can serve these skewers as snacks or appetizers or as a meal and given that they only take a few minutes to cook they are super easy to make even on a weeknight even with the kids being back to school! Marinate the chicken in the pesto overnight in a sealed container tin the fridge. 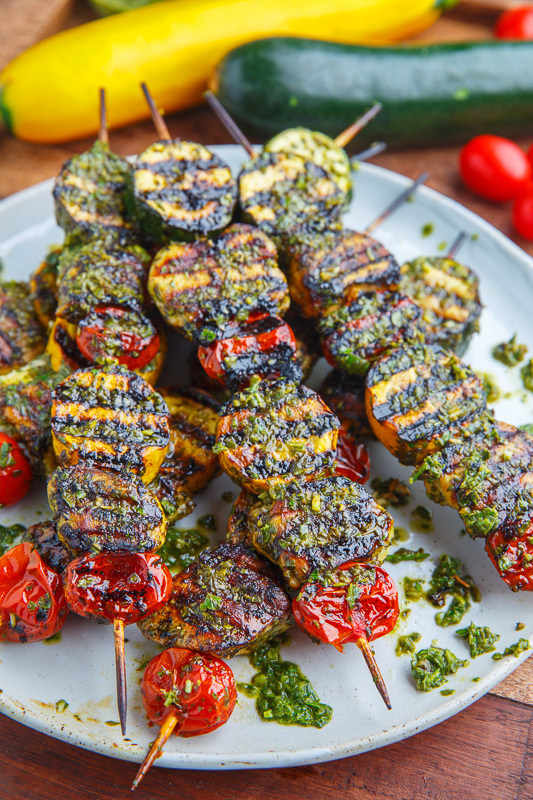 Skewer everything up and grill over medium-high heat until cooked and slightly charred, about 2-6 minutes per side. Option: Use another pesto like sundried tomato pesto, roasted red pepper pesto, asparagus and pistachio pesto or spinach pesto. Your kitchen might be closet sized Kevin, but your recipes are great. I love following the progression you put into play, building one recipe on top of another. I should be that creative. I'm in love!!! this looks delicious! Grilled veggies are my jam!